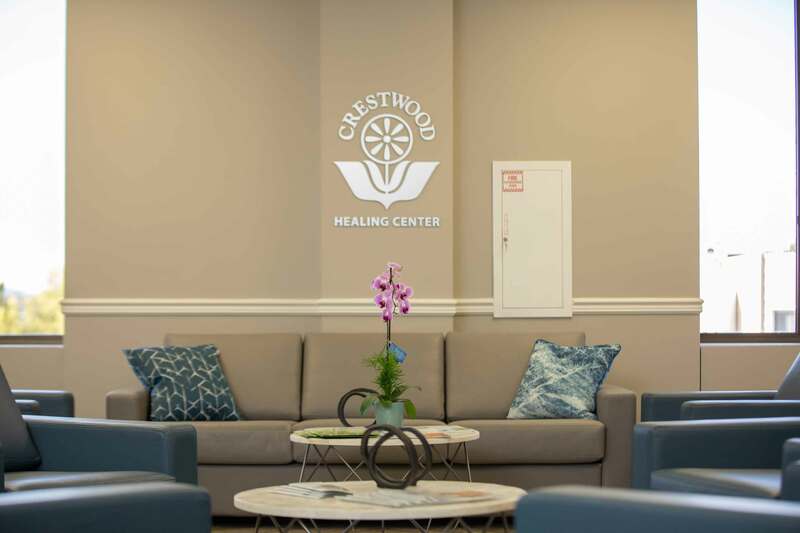 Crestwood’s San Francisco Healing Center is a Mental Health Rehabilitation Center (MHRC) located in San Francisco and overlooking the beautiful Golden Gate Park. The campus is located on the 5th floor of St. Mary’s Medical Center and is the first Crestwood program in the City of San Francisco. This groundbreaking program represents a collaboration between healthcare and municipal leadership, including UC San Francisco, Dignity Health, the San Francisco Mayor’s Office, San Francisco Public Health, San Francisco Behavioral Health and Crestwood. Our services at the San Francisco Healing Center support each client to recover with an enhanced sense of resilience, accessing a wide-range of wellness tools and staff support. The mission of this program is to restore a sense of hope, empowerment, community/natural support inclusion, and realized potential in each client, as well as psychiatric stabilization. At our San Francisco Healing Center, community integration and dual recovery are key tenets. Community reintegration is designed for those clients who need help developing some of the basic life skills that will assist them when returning to their communities. We accomplish this through classes, therapy, community service and peer mentorship. Many clients participate in our Dreamcatchers Empowerment Network pre-employment training. This training enables clients to become Dreamcatcher employees and helps provide them with meaningful roles and services to the community. Crestwood San Francisco Healing Center is accredited by the Commission on Accreditation of Rehabilitation Facilities (CARF), which provides international standards for rehabilitation organizations to follow that promotes the quality, value and optimal outcomes of services. Crestwood believes this accreditation demonstrates our unwavering commitment to achieving and maintaining the highest level of care and rehabilitation.